Trailing 17-10, Josh Freeman and LeGarrette Blount led scoring drives to push the Tampa Bay Buccaneers over the Indianapolis Colts 24-17. 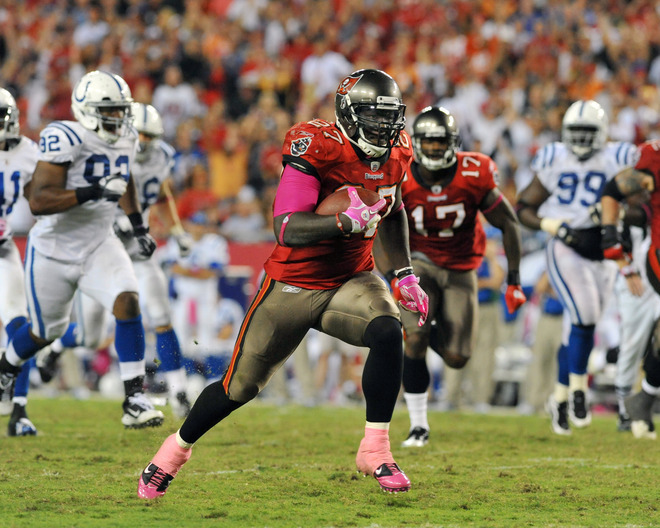 Blount led the Bucs attack rushing for 127 yards and a touchdown. It was Blount’s 35-yard touchdown run that provided the knock-out punch with 3:15 left in the fourth. Josh Freeman passed for 287 yards and a touchdown. Freeman also rushed for a touchdown. Colts QB Curtis Painter started his first career NFL game and passed for 281 yards and two touchdowns. Both of Painter’s touchdown passes were caught by Pierre Garcon who finished with 146 yards receiving.